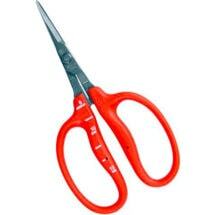 Blades stay sharper longer! 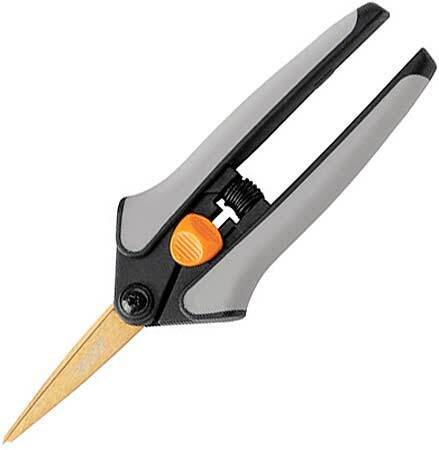 Fiskars Titanium Snips with super sharp, Micro-Tip blades give you precision and control. 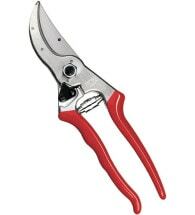 Comfortable Softgrip handles with easy-open spring action reduces hand stress while cutting/ trimming. 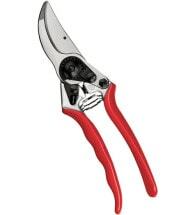 Perfect for shaping or pruning even the toughest plants. Right or left-handed use. 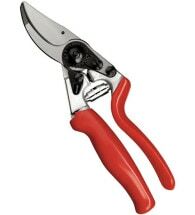 Long lasting, fluorine coated, stainless steel blades are a favorite at harvest time!